At first glance, the 2013 Civic Si looks much less boring than the model it replaces. The chrome accents, revised front and rear end, and wing spoiler not only make the car look better than the 2012 model, but they give the 2013 Si just enough flair to stand out from the standard EX and LX models. Also of note are the reduced wheel gaps. For the 2012 model, the large wheel gaps made the standard 17 inch alloy wheels look tiny and out of place. For 2013, that problem is fixed, ensuring the potential Civic Si buyer will not immediately feel the need to spend extra money on a set of 18 inch wheels to fill out the gap. The biggest improvement between the 2012 and 2013 models is the interior. By far, the biggest complaint from the automotive press and potential buyers is how cheap the 2012 Civic's interior looked. Even with the Si treatment, the various trim and dash materials look like they came out of a Chinese toy factory. For 2013, the Civic Si gets the same fake carbon fiber trim just like in the third generation Acura TL Type-S. While it is fake carbon fiber, it looks good and does a good job of replacing the cheap, hard plastic that adorned the dash of the 2012 model. Even the leather wrapped steering wheel feels less cheap that the 2012 Civic's steering wheel. Another highlight to the 2013 Civic Si is the addition of some new standard features. All 2013 Civics from the LX to the Si get standard bluetooth and back-up cameras. The model I drove came with the optional navigation system, which integrates the back-up camera into the navigation screen. The addition of a vehicle outline in the back up screen allows the driver the gauge the car's distance from an object, as well as assists with gauging the distance of the car from a curb while parallel parking. This is actually the same unit that Honda has been using in both the Civic and the Fit, and is one feature of the car that I have never felt was cheap looking or feeling. The last major highlight of the improved 2013 Civic Si, along with the Civic model line-up in general, is the increased size. While the size increase is relatively minor and is not particularly noticeable inside and out, it is a large enough increase to make the car bigger and more spacious than the Civic based Acura ILX. Even at an as tested price of $24,215, the 2013 Civic Si offers much more than the Acura ILX. Honda did a fantastic job of addressing some of the major issues people complained about with this car. The car's interior and exterior are greatly improved over the efforts of the 2012 Civic. Unfortunately, the one issue enthusiasts complained about was not answered, and that was the engine. Admittedly, doing an engine swap on a model that has only been on the market for one year is absolutely ridiculous, and no one really expected Honda to do an engine change for the refresh. What Honda could have done to improve the driving dynamics of the 2013 Si was to re-tune the suspension. While the Civic Si still handles as well as the 2012 Si, it still feels a bit soft. Many enthusiasts had hoped that Honda would at least tweak the suspension of the 2013 Si to make it handle a little better, thus improving the driving dynamics of the car. Speaking of driving dynamics, the light feeling electric power steering rack does not help. This was apparently another thing Honda felt was unnecessary to change. While there are a lot of interior and exterior changes between the 2012 and 2013 Si, there really is not much else to talk about. The car still more or less drives exactly the same as its 2012 predecessor. At the very least, Honda was able to hit the nail on the head regarding the interior quality issues and the somewhat boring and pedestrian exterior. In short, the 2013 Civic is what the 2012 Civic should have been from the start, and even Honda admits it. But now that the 2013 Civic has gone on sale, what is next for the mid-cycle refresh? I personally hope an engine change is in the works. Odds are, the Civic Si will get some form of the "Earth Dreams" K series engine. It would be great if the Civic Si came with a 2.2 liter, high revving unit like that of the 2004+ S2000. All I know is, Honda needs to bring the spirit of the Si back to this car. HPD still has eighth generation JDM Civic Type-R K20s lying around, right? Would I buy one? Probably not. 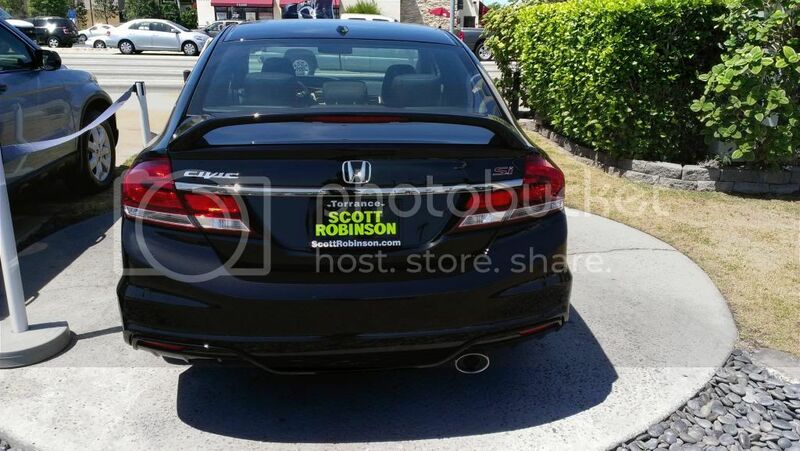 It is not that the Civic Si is a bad car, but considering that the Accord Sport is a larger, equally fast, and similarly equipped car for roughly the same price, what reason would I have to get a Civic Si? If you are in the market for a sporty compact sedan in the low to mid $20,000 range, then the Civic Si is something to consider. But if size is not that important of a factor, you would be better off with the mid-sized Accord Sport. 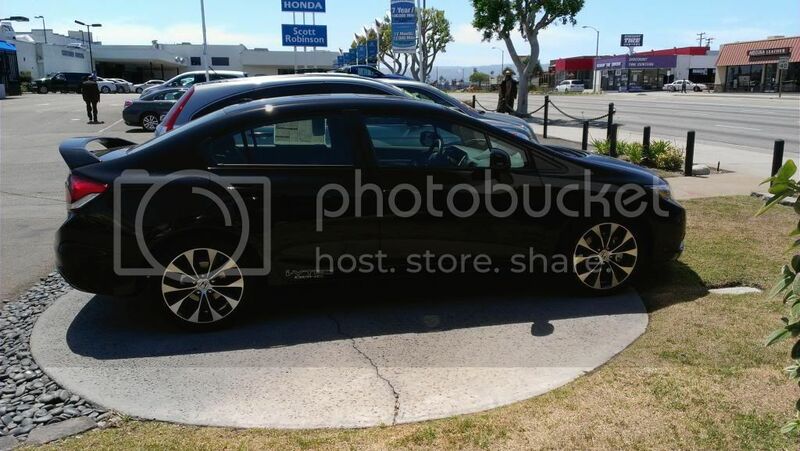 However, if you are thinking about getting a 2013 Acura ILX 2.4 Premium, run as fast as you can away from the ILX and run towards this 2013 Honda Civic Si. 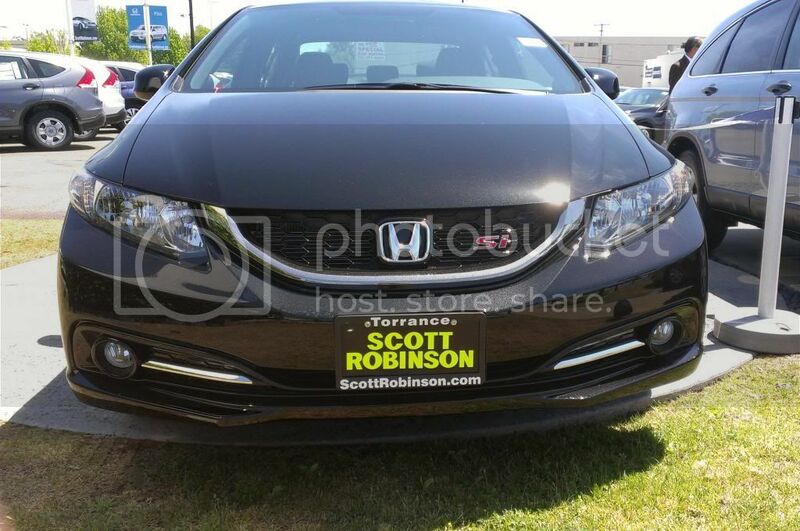 Special thanks to Scott Robinson Honda in Torrance, CA! Has the annoying engine rev-hang between up-shifts experienced in the 2012 Civic Si finally been reduced or eliminated in the 2013 offering?? Unfortunately, this is not going away anytime soon. This is a measure taken in the engine software to ensure complete burn of the fuel already injected into the cylinders to reduce emissions. Honestly, you learn to deal with it as the TSX, which shares the same basic engine, also does the same thing.